A graduate of the University of Surrey, in 1997 Shaban was awarded an Honorary Doctorate by the university for services in the promotion of Disability Arts. Born in Jordan in 1953, Shaban first came to England at the age of three to undergo extensive treatment for osteogenesis imperfecta. He has lived in the UK since then, and has gone on to have a successful and prolific career, both in mainstream television and theatre, as well as on the disability arts circuit. 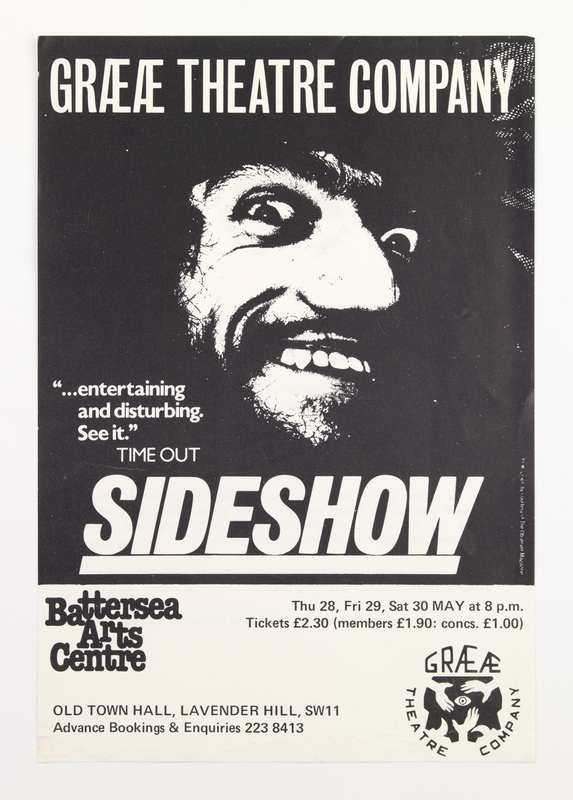 As co-founder of Graeae, Shaban helped to build a company with a reputation for high quality, challenging work, whilst simultaneously creating more opportunities for disabled artists to write, perform and act in roles otherwise closed off to them in mainstream theatre. Shaban himself has performed major roles in a number of Graeae productions which have included: Hamlet (1988), Jesus (‘Godspell’,1987), Haile Selassie (‘The Emperor’, 1987) and Volpone (Fleshfly, 1996). Shaban’s film work includes parts in ‘City of Joy’ (1992), ‘Wittgenstein’ and ‘Born on Fire’ (1987), whilst on television he has had numerous roles in Channel 4 and BBC productions, but is probably best known as ruthless businessman Sil in ‘Doctor Who’. His documentary work includes ‘Skin Horse’ (1983), a film exploring disability and sexuality, ‘The Fifth Gospel’ (1990), which examines the relationship between the Christian gospel and disability, and ‘Without Walls: Supercrips and Rejects’ (1996), a critical commentary on Hollywood’s representation of disabled people. Since 2000, Shaban has been based near Edinburgh where he has appeared in many productions, including his own play, ‘The First To Go’, which chronicles the treatment of disabled people under the Nazi regime, and premiered at the Lyceum theatre in Edinburgh in 2008.